(Newser) – The Massachusetts Institute of Technology has soared to the top of world university rankings for the first time, knocking Britain's University of Cambridge into second place and Harvard into third, the Guardian reports. University College London, Oxford University, Imperial College, Yale, University of Chicago, Princeton, and Caltech also made the top 10 of the QS World University Rankings, which are based on factors including research quality, teaching, and the proportion of foreign students and academics. MIT the education and research headquarters of the international banking cartel and their globalist, elitist minions.
" 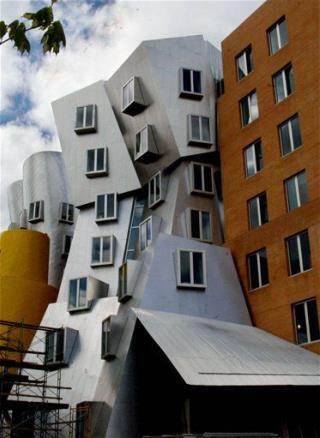 An increase in academic citations and foreign academics helped MIT move up from 10th place in 2007 to first place." In other words it received higher citations for admitting more children who are the spawn of plutocrats. Remember the report showing how even in impoverished nations there are rich people hiding money? Those same people are also the only ones who can afford the huge tuition costs at many of these universities. It has become quite a cubby little club with only the spawn of plutocrats or students on "scholarships" from foreign countries. In the meantime many research departments at top universities in the United States have eliminated or reduced scholarships in their graduate programs. Why offer scholarships when they have wealthy foreign students who can afford the tuition? In the meantime aid to American students is being cut. This country will destroy itself because of greed. For those not receiving a scholarship, maybe University of Toronto is the way to go. It's in the top 10 and costs maybe 1/5 of what the rest of them do. Way to go Canada!